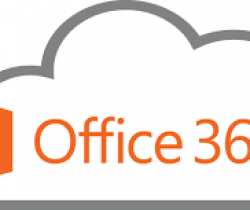 What is Office 365 Business Essentials? The Microsoft Office 365 Business Essentials Plan includes features and price points tailored to meet the needs of small and midsize businesses ranging from 1 to 300 employees. The plan includes access and usage of core cloud services for running your business including business class email and calendaring, Office Online, online meetings, IM, video conferencing, cloud storage, file sharing and much more. How Office 365 Business Essentials work? Use business-class email through a rich and familiar Outlook experience you can access from your desktop or from a web browser using the Outlook Web App. Get a 50 GB mailbox per user and send attachments up to 25 MB. OneDrive for Business provides 1 TB for each user for virtually anywhere access to their documents. Share files with others inside and outside the organization, control who can see and edit each file, and easily sync files with PCs and devices. Access, edit, and view Word, Excel, and PowerPoint documents on Windows Phones. Use the OneNote, OWA, Lync Mobile and SharePoint Newsfeed apps on most devices. Your data belongs to you. Microsoft does not scan emails or documents for advertising purposes. Deploy and manage Office 365 across your company, no IT expense required. You can add and remove users in minutes. Manage user credentials and permissions. Single sign-on and synchronisation with Active Directory.